December – what a bleak month. Dark mornings, dark days and Christmas! Had a few days in Berlin last week when I attended the excellent Online Educa conference. It was excellent. HAve been to Berlin a few times, always to attend this conference and always at this time of the year. Not the best of times to see Berlin, I think. The sun rises late and sets early. It is cold and you don’t want to spend too much time outside. I like Berlin and would like to see what it is like in the height of summer. As you can imagine, in my free time I tried to get in as many opportunities to get out and shoot. Will post some of these in the weeks to come, but there are still some Copenhagen photos I want to show. 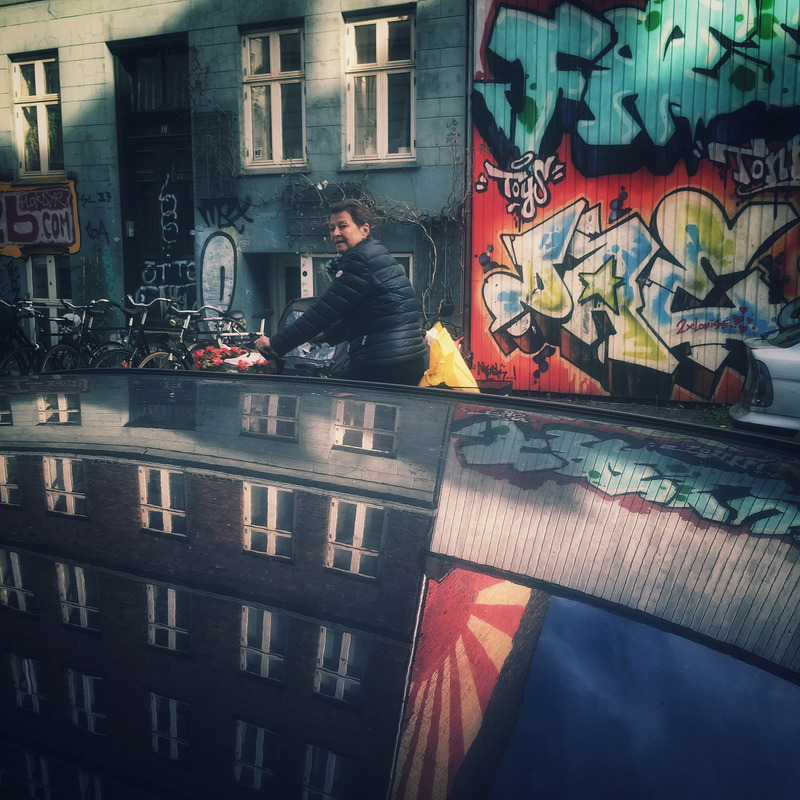 You can see some of the iPhone Berlin shots here on Instagram. I love street art. It adds so much if it is done well and in Copenhagen it sure is. 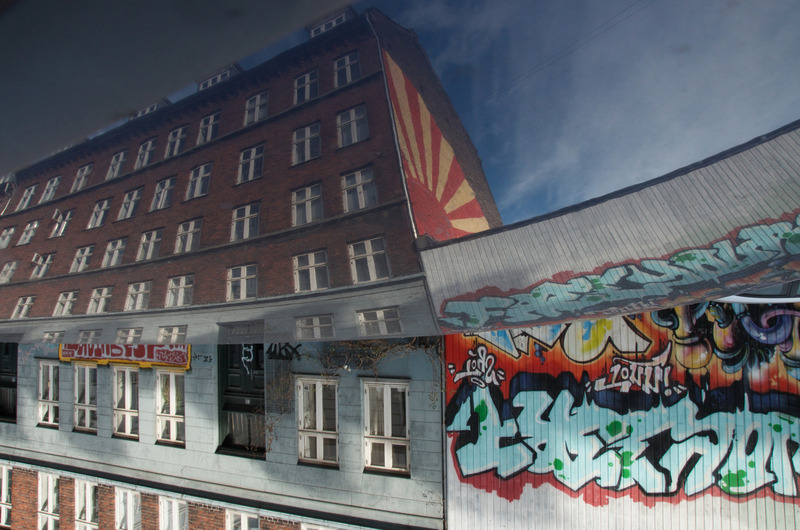 This is a street in Vesterbro. I got a number of photographs of this, both with the DSLR and the iPhone. The iPhone shot took time. I wanted a human element for the composition, but had to wait for a passerby to pass by. This entry was posted in Daily posts to Flickr, iPhone, photograph posts, Street Photography and tagged abstract photography, art, berlin, Brendan Ó Sé, colours, Copenhagen, Copenhagen Street Photography, iPhone, iphoneography, love, mobile photography, Passersby, photography, street photography, travel, Vesterbro.